Two modules that interact in a system set up a requirement for the development teams for each module to coordinate. From this basic idea one can derive a wide variety of different coordination models. In this theoretical talk, I will speculate about different coordination models and the circumstances in which they might be appropriate. Len Bass is a senior member of the technical staff at the Software Engineering Institute (SEI) at Carnegie Mellon University. 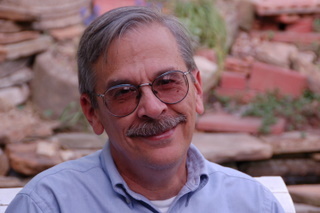 He has written two award- winning books in software architecture, in addition to several other books and numerous papers in a wide variety of areas of computer science and software engineering. He has more than 45 years experience in software development and research in multiple domains ranging from embedded systems to information systems. Present software development business practices are trying to emulate the success of manufacturing process by offshoring software development to countries with lower labor costs and higher availability of workers. The relatively more complex domain of software development is making it difficult to achieve cost savings comparable to offshored manufacturing and to maintain high standards of quality. We investigate code transfer to offshore locations and to outsourcing organizations and quantify the impact of such transfers on software quality and developer productivity. Audris Mockus received B.S. in Applied Mathematics from Moscow Institute of Physics and Technology in 1988. In 1991 he received M.S. 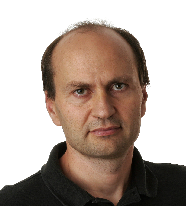 and in 1994 he received Ph.D. in Statistics from Carnegie Mellon University. He works at Avaya Labs Research. Previously he worked at Software Production Research Department of Bell Labs. Software systems based on a Service-Oriented Architecture (SOA) are designed in terms of composition of services. Services, therefore, represent the main unit of design and usually allow for a good decoupling among the various parts of the system. On the one side, such a decoupling can likely result in a good decoupling of the development tasks to be accomplished, and, therefore, make SOA suitable for Global Software Development (GSD). On the other side, the full adoption of the SOA philosophy also requires a change in the perspective of GSD and in the organization of GSD practices. Services, in fact, can be operated by third parties and simply used, not acquired, by the organization running the software system. Moreover, these services can easily be replaced by others during the operation of the system. These two aspects result in the fact that new roles need to be considered as relevant to GSD and new coordination and business models enter in the game. While in usual GSD practices the focus is on the coordination between roles focusing on the design, development, and validation of the software system, in the case of SOA, run-time roles, such as the service operator or the service intermediary, have to be considered as well. Indeed, the interaction among these roles may occur through the whole life cycle of the SOA-based system and may be regulated by specific business models (e.g., pay per use, service provision with SLA guarantee, ...). More in general, while GSD is typically focusing on the globalization of the development phases, SOA enables the globalization of the run-time phases thus introducing a new set of issues that GSD and, more in general, Global Software Engineering (GSE) have to take into account. In this keynote, starting from the relevant literature, I discuss on the above aspects and identify new challenges for future research. 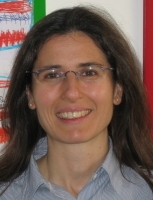 Elisabetta Di Nitto is an associate professor at Politecnico di Milano, where she earned her Ph.D. in Computer Science. She teaches Software Engineering and Foundations of computer science. Her current research interests are on process support systems, SOA, dynamic software architectures, and autonomic, self-adaptive systems. She has been researcher at CEFRIEL and visiting professor at University of California, Irvine. She has published and presented various papers on the most important international journals and conferences and has served in the program committee of various international conferences. She is currently program co-chair of the 25th Automated Software Engineering Conference (ASE 2010), member of the Transactions on Software Engineering Editorial Board, and workshop co-chair for ICSE 2010. She has been the principal investigator for various projects funded by the EU and by the Italian ministry of research.